Once again, our award-winning team is going to cross the ocean to help you with your challenges. After the successful 20th DevCon last year, the conference is now returing to Las Vegas again! We have spent over 16 years taking care of our customers, mostly through FileMaker® solutions. On our journey we have had to cross many boundaries. We crossed country borderlines both physically and over the internet to reach to customers around the whole world. Now we’re coming back to the FileMaker DevCon to share our experience with you to help your solution sustain and GROW along with your BUSINESS. Come to see us at the FileMaker Developer Conference 2016 and discover how we can help you to leverage your aptitude to run your business through your custom apps and make it more profitable. Don’t miss our fresh case studies! Find inspiration in seeing someone else’s successful project! HOnza Koudelka will share details about two of our fresh successful projects with you to inspire you and help you to keep moving forward. 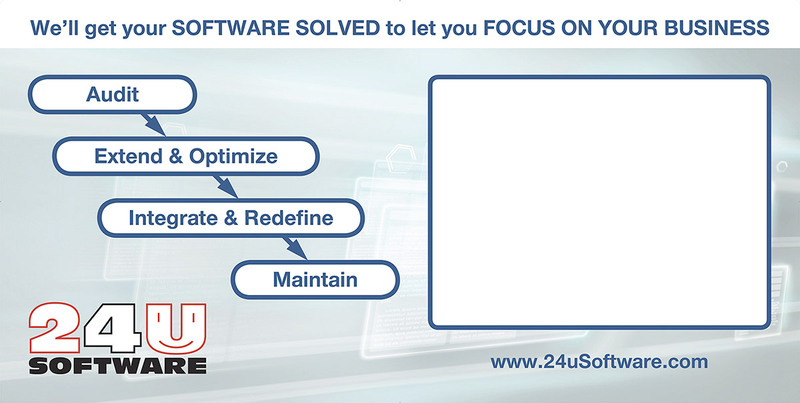 We’ll talk about one existing solution audit and one performance optimization. You’ll learn how looking at your solution from a different angle can help you to get ready for unexpected and how to focus your effort to maintain and grow your business faster. Come on Thursday 21st of July at 2:00 PM into Nolita 2! Led by the “Mad Optimizer” HOnza Koudelka, the FileMaker DevCon 2015 Developer Cup Champion, our team will be there, ready to help you with your challenges. Make sure to come early to schedule your free consultation before all our slots get reserved by someone else!